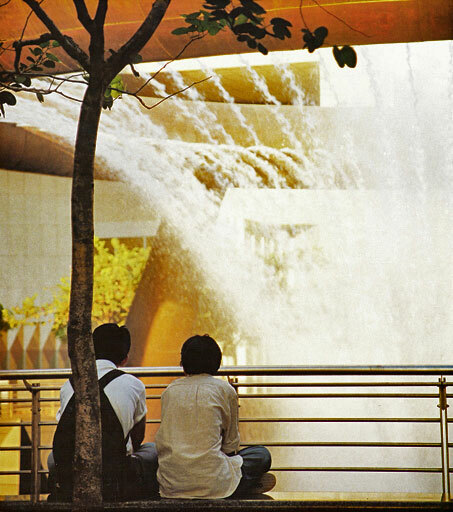 This fountain is the public centerpiece for Singapore's national convention center and park. 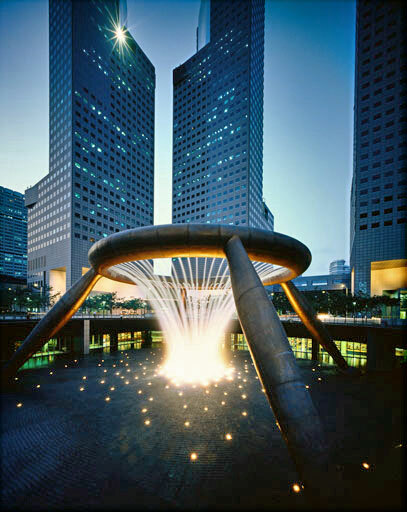 In the design plan of Suntec City, where the five tower blocks represent the fingers and thumb of a left hand emerging from the ground, the fountain forms a gold ring in the palm of the hand. 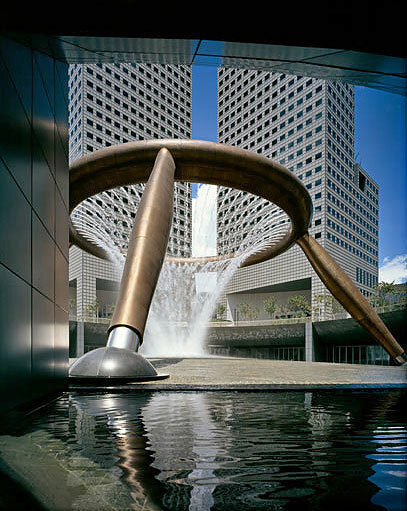 Norman served as assistant project manager, responsible for coordination of design and production. 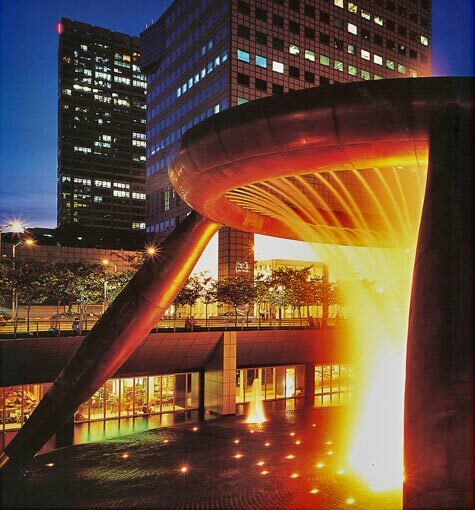 Commemorative stamp of the Fountain of Wealth.